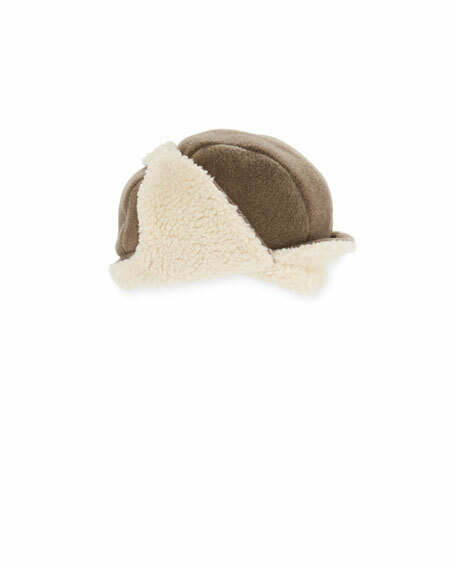 Grevi trapper hat in faux-shearling (polyester/cotton/acrylic). Art of Walk fitted baby knit beanie with spotted dog appliqu?? Hanging crochet bones at top. Contrast rolled brim. Cotton; machine wash. Made in Peru. 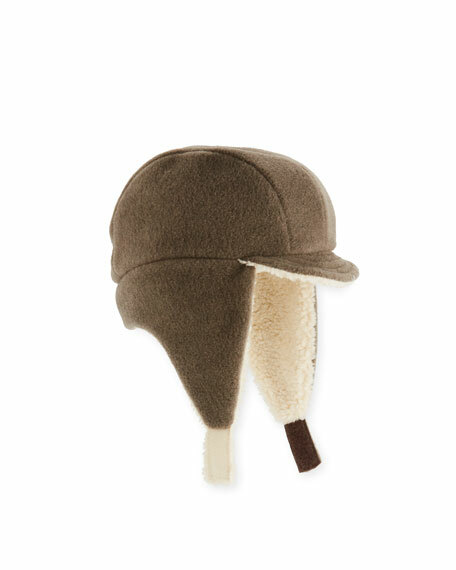 bonniemob baby beanie hat in bunny-print. Ears detail at top. Solid reverse. Fitted style. Organic cotton/spandex. Imported. bonniemob baby hat in sunshine smiley face print. Animal ear appliqu? ?s at top. Fitted style. Organic cotton/spandex. Imported.